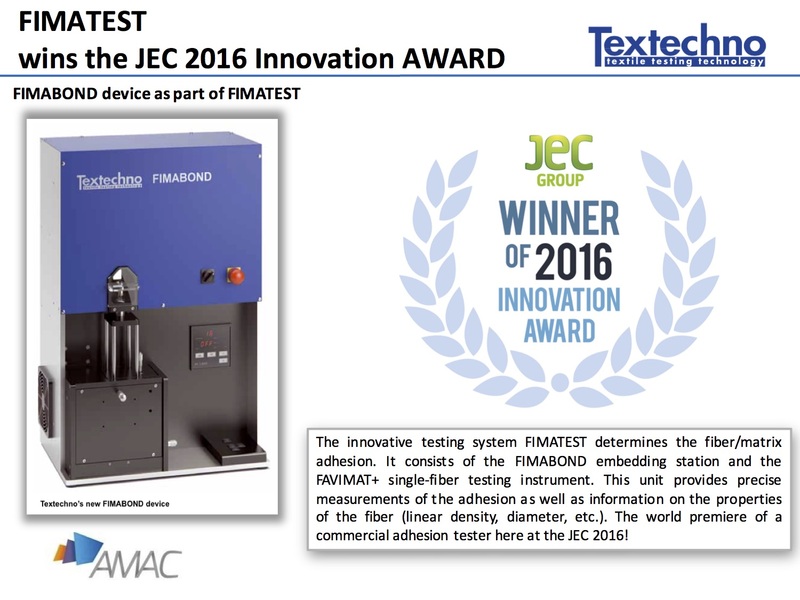 Textechno, together with the Leibniz Institute for Polymer Research Dresden, proudly announces that they have won the prestigious JEC World Innovation Award 2016 for “A new testing system to access the properties of the fibre to matrix interface”. 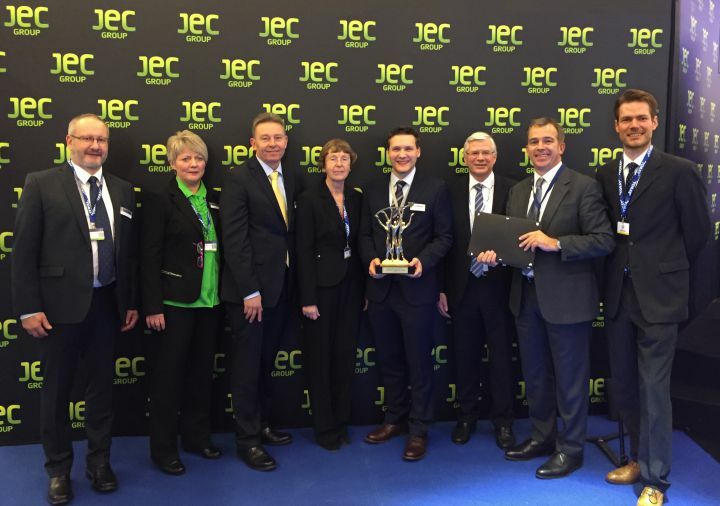 The celebration of the JEC award winners took place on March 8, 2016 at the JEC World conference in Paris. Please click here to view the full Press Release. 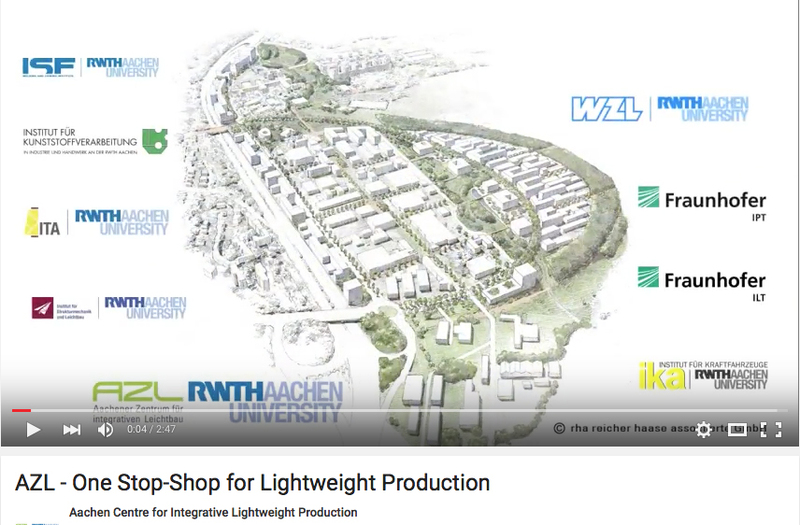 With its partner institutes at RWTH Aachen University, the Aachen Center for Integrative Lightweight Production (AZL) covers all needed competences of the whole lightweight value chain. In a walking distance, the partner institutes of AZL research on topics from simulation and material production over system and process development and optimization to joining, end-machining technologies and quality assurances. Click here to watch the VIDEO. DuPont Performance Materials (DPM) has announced that it will extend its existing partnership with the Aachen Centre for Integrative Lightweight Production (AZL) to a “Premium Partnership” and for the first time ever co-locate its research activities on the RWTH Aachen University campus. Please click here to view the full Press Release. AZL Aachen GmbH has established a Workgroup on High-Performance Sheet Molding Compound (SMC). 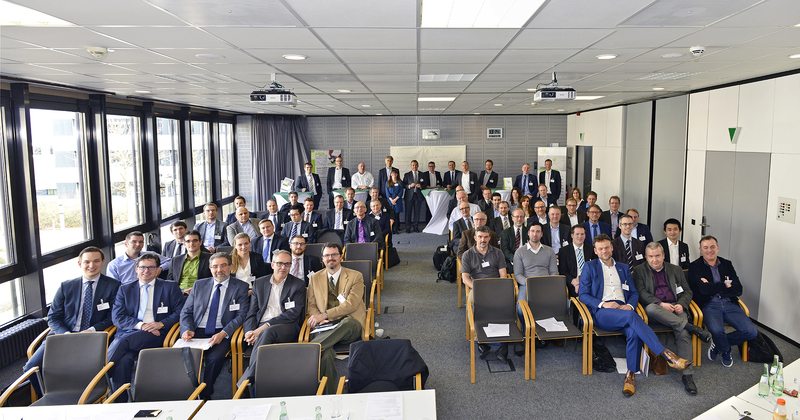 Within an initial AZL Workshop more than 60 participants from the industry – including several automotive OEMs such as Audi, BMW, Ford, Hyundai, MAN, Toyota and Volkswagen – defined research and development topics for the future AZL Workgroup. Please click here for the full Press Release. 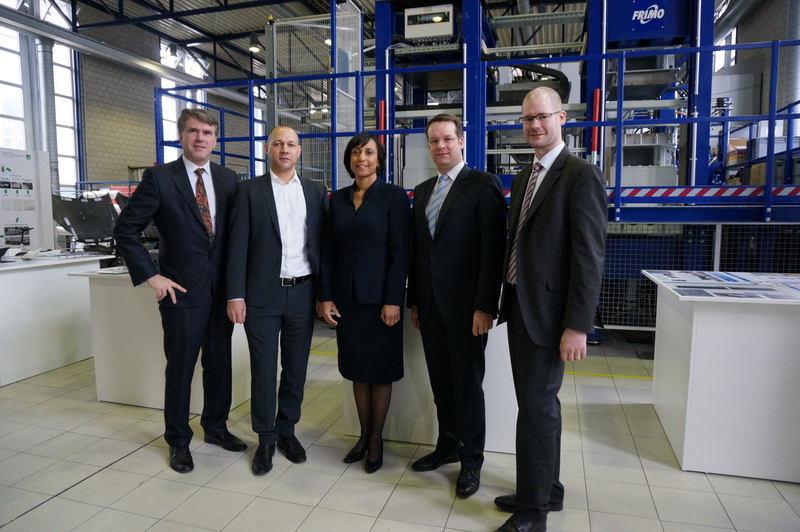 Mrs Frédérique MUTEL, JEC Group President and CEO and Dr Michael EMONTS, Managing Director of AZL, the competence network for excellence in lightweight production, are very happy, after a first successful cooperation, to announce the extension of their partnership agreement which has started in 2015. Please click here for the full Press Release.